Sundaram Tagore Gallery in Beverly Hills is pleased to present new works by Susan Weil in her exhibition titled Motion Pictures, which opens with a cocktail reception on October 11, 2008, from 6:30 to 8:30 p.m. 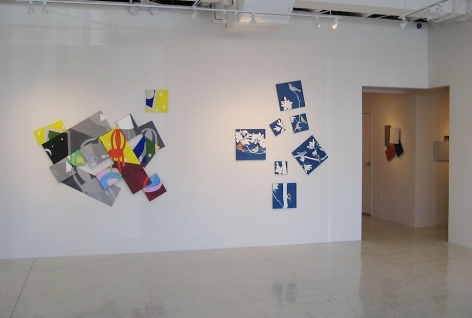 The exhibition closes November 9, 2008. Weil's exhibition includes many new works, with her signature style – several canvases that have been reconstructed to comprise one image. They are experimental three-dimensional paintings, which combine figurative illustration with explorations of movement and space. Her dazzlingly fragmented yet geometrically ordered grid-like paintings of human motion are truly unique. 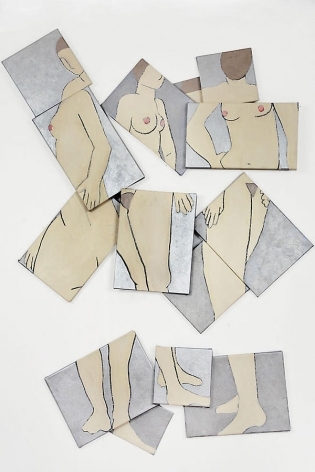 "Weil is widely considered one of the most important female American artists today, and her work is bold and innovative. Weil has always broken new and important ground. 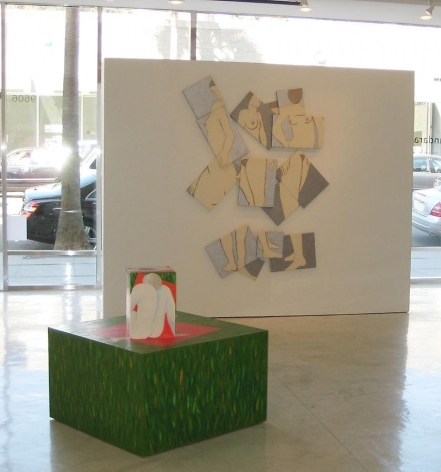 Her work has a beauty and richness that is unmatched by other artists," said gallerist Sundaram Tagore. Weil was married to the late Robert Rauschenberg for only a few years yet after separating the two remained very close and derived artistic inspiration from one another. Rauschenberg and Weil collaborated on several projects together, notably an ongoing series they called the "blueprint paintings." 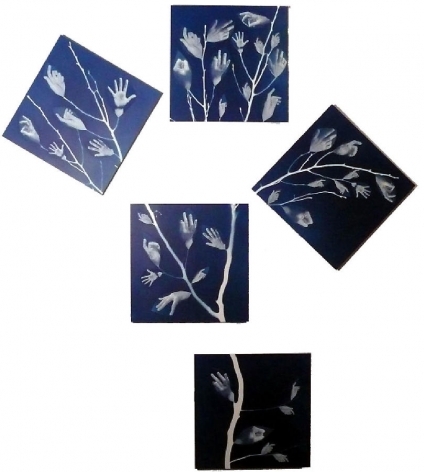 These pieces were produced by exposing an image onto blueprint paper. 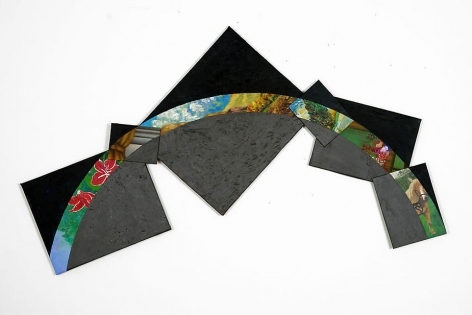 Weil continued to use this technique in her later work, namely, juxtaposing this method with one of her recent series called "The Tree Series"
Susan Weil is inspired by the rhythmic qualities of poetic verse. The pauses, intonations and interruptions that are inherent to the spoken and poetic word are echoed in her paintings. 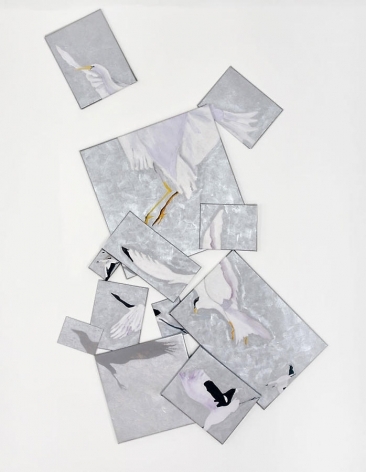 Her resulting series of reconfigured canvases allow the viewers' eye to contemplate a series of moments at once while simultaneously providing a complete holistic view. Weil studied at the Academie Julian in Paris. In addition to painting, Weil has experimented with bookmaking, producing artist's books with Vincent Fitzgerald and Company. During a period of eleven years, Weil experimented with etchings and handmade paper while also keeping a daily notebook of drawings inspired by the writings of James Joyce. Weil is recipient of numerous awards including a Guggenheim Fellowship, and others from the National Endowment for the Arts. 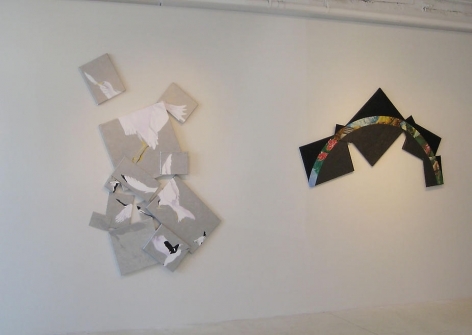 Her solo shows include many in Europe and the US, including Black Mountain Museum in Asheville, North Carolina, and the Museo Reina Sofia in Madrid. Weil's work is in many major museum collections including the Metropolitan Museum of Art, New York; The Museum of Modern Art, New York; The Victoria and Albert Museum, London; and the J. Paul Getty Museum, Los Angeles. She continues to live and work in New York City. For more information, contact Emily Beck at 212-677-4520. 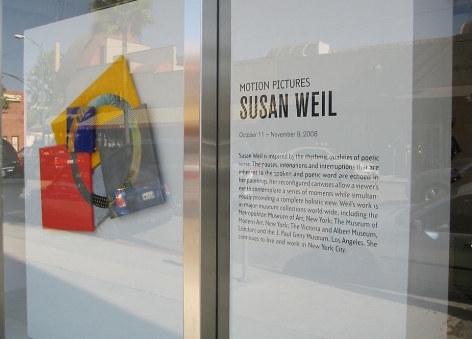 Susan Weil's paintings under the title Motion Pictures, are world-class pieces by a world-class painter. 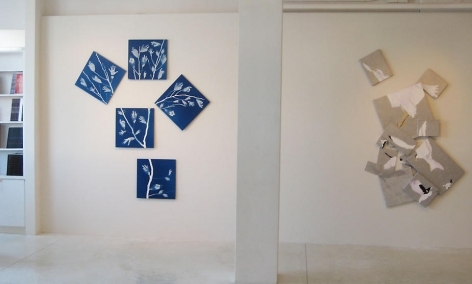 To see them on a Hong Kong gallery wall is gratifying twice. Not only does the show raise the bar along Hollywood Road and its environs; it also brings out a certain Asian-ness in the work—in the color, some of its subjects, its mix of material—that one might otherwise have missed. Clare Morin talks to the historically significant American Artist Susan Weil. There is a sense of rarity to the exhibition Motion Pictures that opens at the Sundaram Tagore Gallery this fortnight. The show will be focusing on new works by the 78-year old American artist Susan Weil, a respected figure in modern art history whose life story is truly extraordinary. 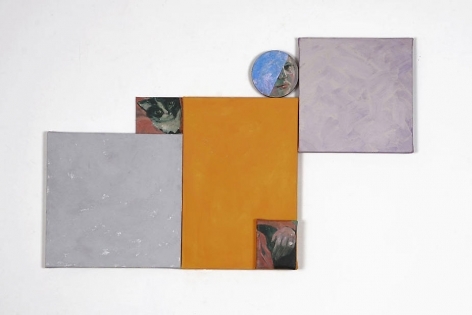 "A longtime fixture in the New York art scene, Susan Weil has always maintained an adventurous attitude toward material and form even as she continued to paint self-assuredly in both abstract and representational modes." 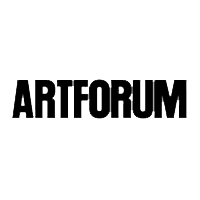 "...At the end of the summer session in 1949, Rauschenberg and Weil moved to New York. There they experimented with blueprints, the most famous - an impression of the female body - being among Rauschenberg's earliest work with printmaking."